Does your fall wardrobe need a little… something? A splash of color, perhaps? 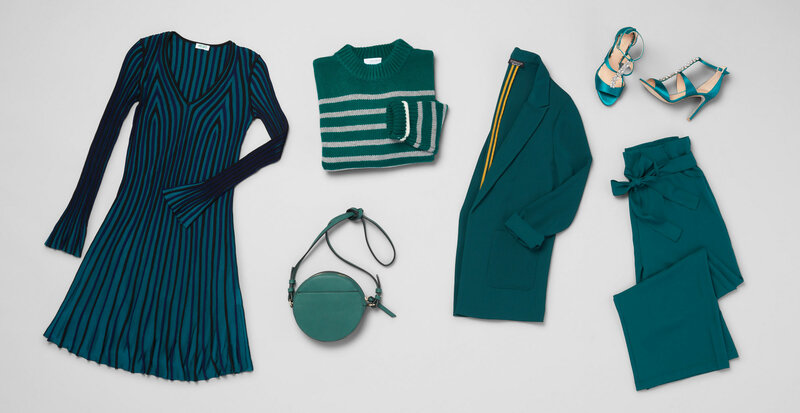 Allow us to make a case for this of-the-moment jewel tone: dark teal. This lush shade of blue-green is as versatile as it is elegant, adapting to everything from cozy sweaters to evening dresses. It looks especially luxe in brushed textures like suede. Its darker tone allows those who usually shy away from color to indulge in the trend, too. And if the Spring 2019 runways are any indication (and they always are), dark teal is slated to have some major staying power. Convinced? Good, because fall is the perfect time to work it into your rotation. Discover three ways to add this hue to your autumn wardrobe. The work-week dress code may have you feeling blue... or grey…or black. But these standard office hues can easily be swapped for a stylish teal piece. Pair jeans and a black tank with a boxy blazer, or a tie-waist woven pant with that same tank. For a subtle accent, top off a neutral outfit with a loafer in luxe suede. Jewel tones are ideal for professional ensembles because they add a touch of sophistication, even to less structured garments. When the weekend hits, an on-trend hue may be all you need to liven up your look. 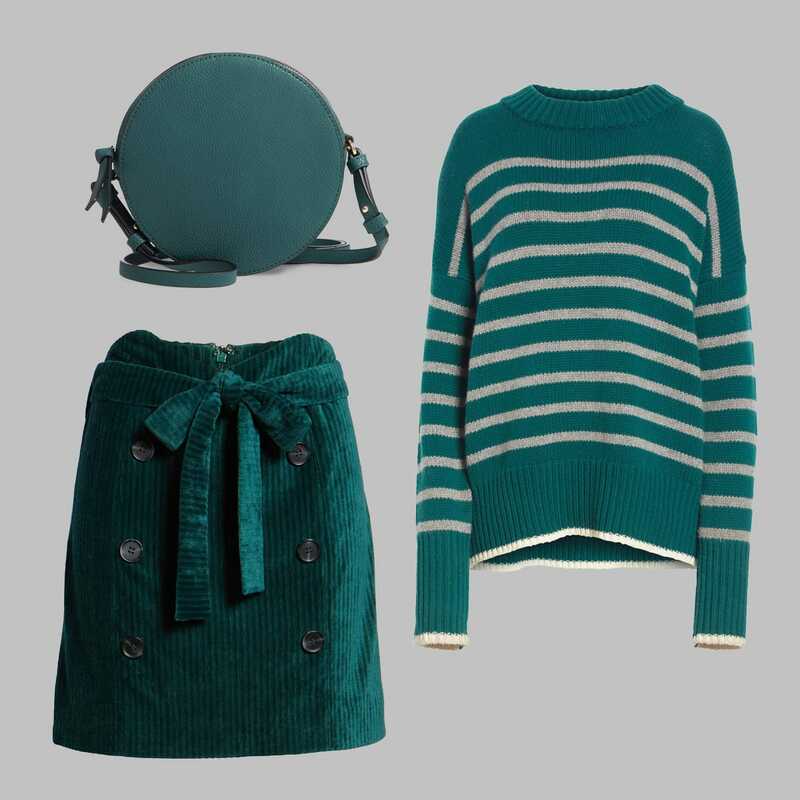 Soothing, elegant, and easy on the eyes, dark teal is the perfect color for an off-duty outfit. Cozy separates, like a roomy sweater or a velour skirt, read both stylish and laid-back. Unexpected accents make Saturdays and Sundays even more fun, like a mini bag you can tote to dinner or brunch. When you’re planning an outfit for a special night out, make sure your color palette can rise to the occasion. Jewel tones already have an innate air of elegance, but evening attire brings out their most striking quality. Try a wrap dress with a flowing, romantic hem that can work for a variety of events. Accessories, like a strappy embellished sandal or an opulent earring, can be the lavish finishing touch to your favorite little black dress.